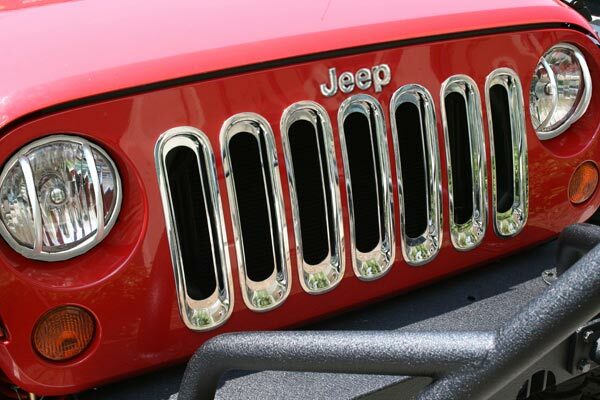 Rugged Ridge 11306.30 - Rugged Ridge Grille Inserts - FREE SHIPPING! So easy to install, I was a little worried that they would come off when going thru the automatic car wash, but no worries went through several times already, they're very secure. Great product, easy to install and looks great. these inserts could not be easier to install,and they look great! The product was a breeze for installing them took less than 10 mins of my time. They enhance the jeep and appereance. Look good but slightly cheap "feel"
The inserts look good once installed, but installation is trickier than described because each insert can be formed a little different and not fit exactly right. Moving them around from opening to opening to get just the right fit meant a longer and more tedious install. In the end they look good, but I worry about them going missing since all they have to do is pop out (on the road or because someone decides to take them). Plain black accents on commando green unlimited! Great addition to my jeep. Keeping it simple, looks awesome. Fast shipping and 10 minute installation. Given the small tabs to hold them in, I am concerned about them staying in. However, so far no problems. They do make the grill look much better. Not more than 10 minutes and you have a new look. This is a most on every Jeep. Ordered these for my 09 Wrangler. It takes longer to unpack them than it does to install - they were a piece of cake. Looks great too. 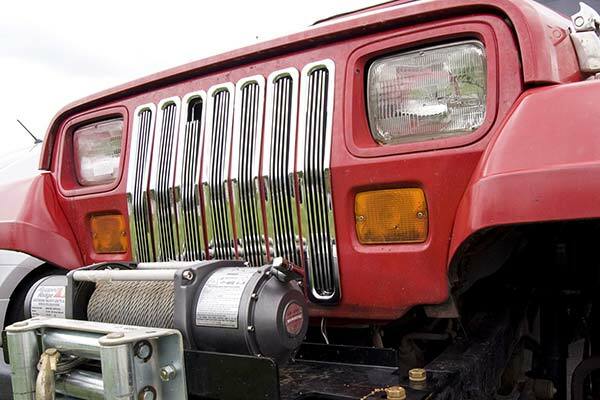 my Jeep is red crystal rock with black fenders and soft top. I thought the black grill insets would add to the overall look of the vehicle. what a difference! it looks great and they literally were a snap to put in. really glad I purchased them. Couldn't be any simpler...just take them out of the box and snap right in. There IS a right way and a wrong way to snap them in, but it was easy to figure out. Looks great! Reference # 766-629-279 © 2000-2019 AutoAnything, Inc.